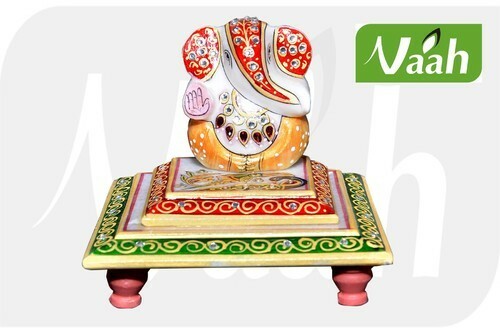 Providing you the best range of vaah marble laxmi ganesha decorative chowki, vaah big marble ganesh chowki 6"x6", vaah beautiful lord pagdi ganesha big chowki, vaah marble decorative cut work big pot with radha krishna, vaah decorative marble lantern with meenakari and vaah marble flower vase with effective & timely delivery. 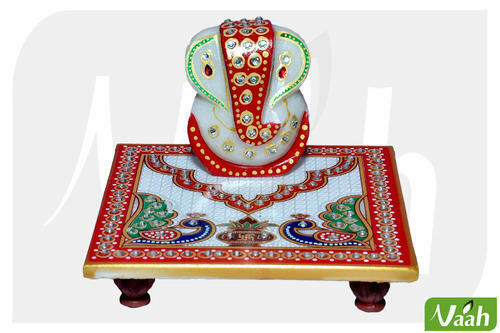 For reasons of quality maintenance, the offered range of Marble Laxmi Ganesh Chowki is known to be made in accordance with the set industry norms and guidelines. Priced at the most reasonable rate possible, its preference in the market is quite high. In addition, the offered range is designed in the most attractive manner possible. Various Designs, Sizes & Color Finish available. 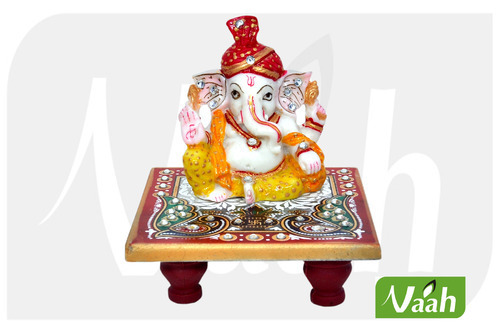 Vaah Big Marble Ganesh Chowki 6"x6"
Offered in the market at the most reasonable rate possible, the Marble Painted Radha Krisha Round Pot with Cut Work made available by us, is amongst the primary preferences in the market. Manufactured in accordance with the set industry norms and guidelines, quality of this product never deteriorates. Further, the offered range is marked at the most reasonable rate possible, making it highly asked for in the market. 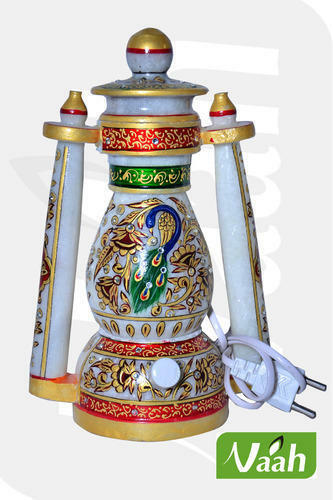 Being one of the leading manufacturers and suppliers of this commendable range of Marble Lanterns, we never compromise with its quality. Thus we engage in the utilization of high grade raw materials and modern machines, in compliance with the set industry norms and guidelines. Owing to this, the product is elegantly designed, has a fine finishing, superior strength and perfect shape. 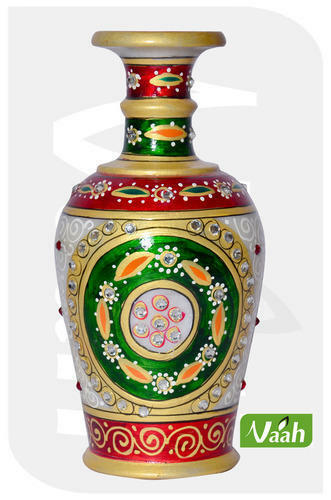 Available in sizes: 6",8",10" & 12"
Manufactured in compliance with the set industry norms and guidelines, quality of this Marble Flower Vase never deteriorates. Owing to the finest raw materials and modern machines applied in its making, the offered product’s finishing, resistance to moisture and attractiveness is quite high. In addition, the offered range is marked at the most reasonable rate possible. 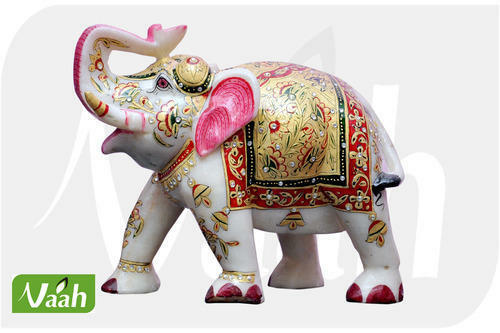 We are considered in the market to be one of the finest makers and providers of this commendable range of White Marble Elephants. For the purpose of providing maximum satisfaction, we engage in the utilization of quality materials and modern machines, in compliance with the set industry norms guidelines. In addition, the product is known for its attractive design and finishing. 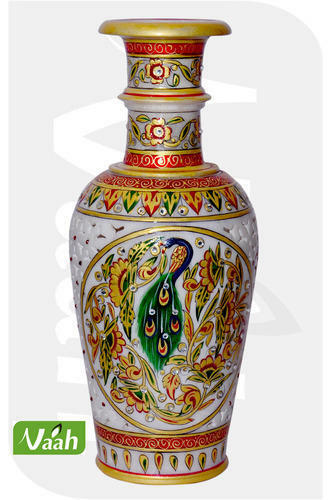 In order to provide maximum satisfaction to our clients, we engage in the utilization of high grade raw materials and modern machines, in compliance with the set industry norms and guidelines, for manufacturing this Painted Marble Vase. 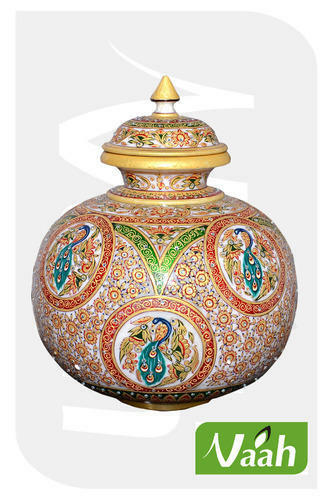 Owing to this, the product is sturdy, has a fine finishing and is attractive in nature. Further, it is marked at the most reasonable rate possible. 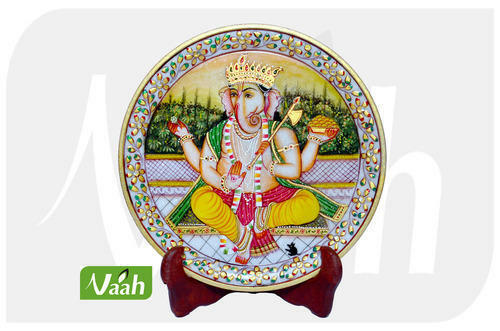 Known widely for its attractiveness, the offered Marble Plates increase the beauty of the place where it is used. Making of this range is done in accordance with the set industry norms and guidelines, utilizing the finest raw materials and modern machines. Owing to this, the offered range is known to have a fine finishing, superior sturdiness and resistance to heat and moisture. 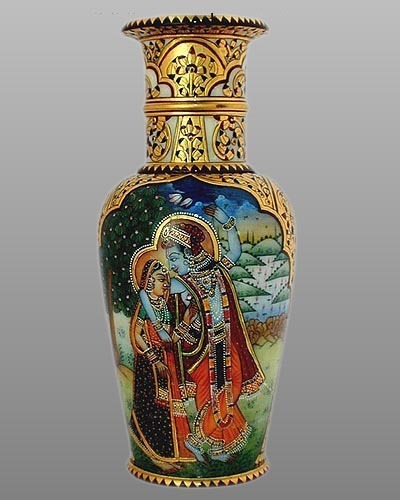 Available in sizes: 6",9" & 12"
Offered to client at the most reasonable rate possible, the offered Marble Vases is highly acclaimed and asked for in the market. Making of this product is done by skilled professionals, utilizing the finest raw materials and modern machines, in accordance with the set industry norms and guidelines. 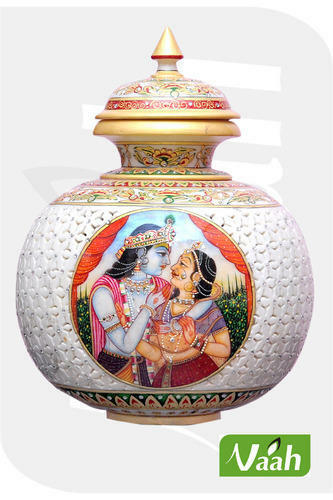 Owing to this, the product is elegantly designed, has a perfect shape and a fine finishing. 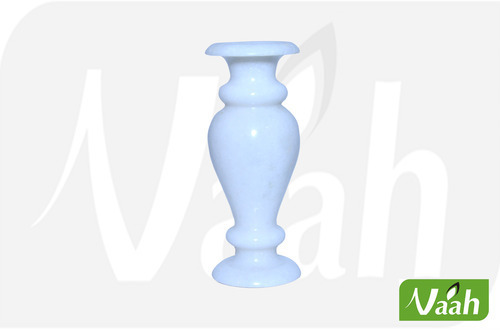 Being one of the leading manufacturers and suppliers of this commendable range of Marble Lamps, we never compromise with its quality. Thus we engage in the utilization of high grade raw materials and modern machines, in compliance with the set industry norms and guidelines. Owing to this, the product is elegantly designed, has a fine finishing, superior strength and perfect shape. 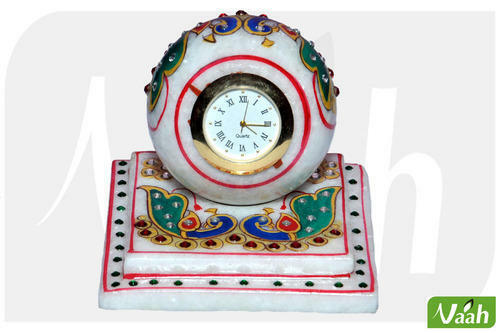 For the purpose of making the finest Marble Table Watch available to our clients, we engage in the utilization of high grade raw materials and modern machines, in compliance with the set industry norms and guidelines. Owing to this, the offered range is known to have a superior finishing, elegance and a commendable resistance to moisture and heat. 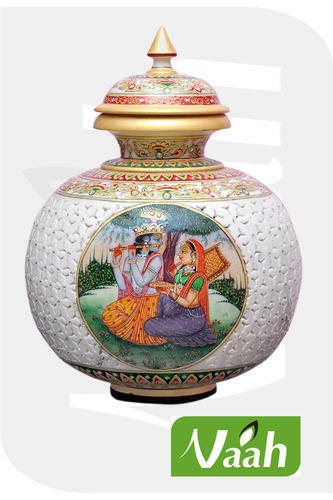 Offered in the market at the most reasonable rate possible, the Marble Round Pot made available by us, is amongst the primary preferences in the market. 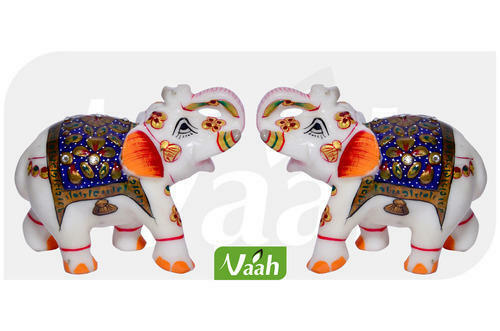 Manufactured in accordance with the set industry norms and guidelines, quality of this product never deteriorates. Further, the offered range is marked at the most reasonable rate possible, making it highly asked for in the market. 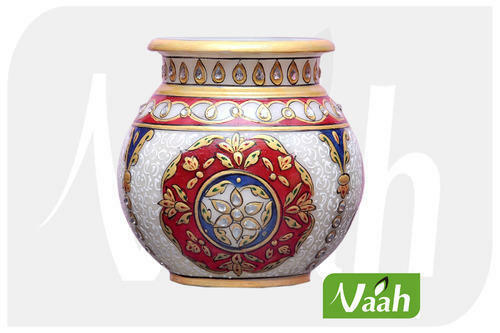 We are counted amongst the leading manufacturers and suppliers of this range of Marble Flower Pot. For the purpose of maintaining this reputation, we engage in the utilization of high grade raw materials and modern machines, in compliance with the set industry norms. Owing to this, the offered range is attractive and has a fine finishing. 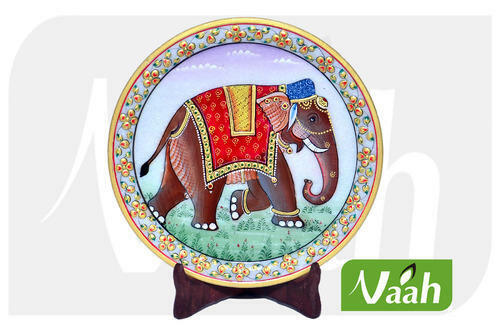 Known widely for its attractiveness, the offered Vaah Painted Marble Plates increase the beauty of the place where it is used. Making of this range is done in accordance with the set industry norms and guidelines, utilizing the finest raw materials and modern machines. Owing to this, the offered range is known to have a fine finishing, superior sturdiness and resistance to heat and moisture. 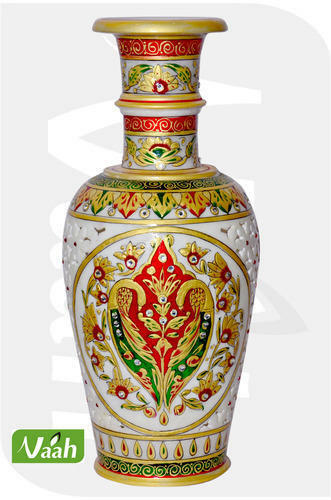 Manufactured in compliance with the set industry norms and guidelines, quality of this Marble Painted Vase never deteriorates. Owing to the finest raw materials and modern machines applied in its making, the offered product’s finishing, resistance to moisture and attractiveness is quite high. In addition, the offered range is marked at the most reasonable rate possible. 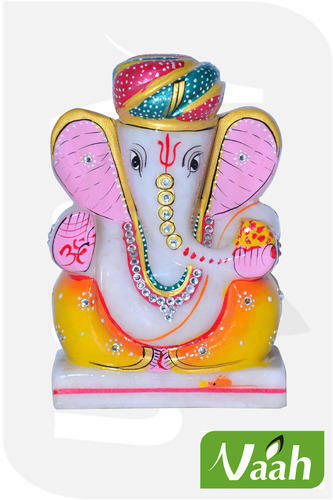 For reasons of quality maintenance, the offered range of Marble Painted Pagdi Ganesh Idols are known to be made in accordance with the set industry norms and guidelines. Priced at the most reasonable rate possible, its preference in the market is quite high. In addition, the offered range is designed in the most attractive manner possible. 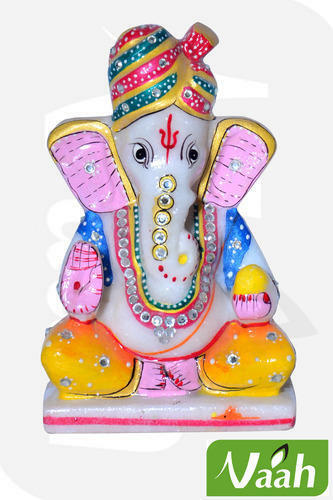 For reasons of quality maintenance, the offered range of Marble Ganesh Idols are known to be made in accordance with the set industry norms and guidelines. Priced at the most reasonable rate possible, its preference in the market is quite high. In addition, the offered range is designed in the most attractive manner possible. 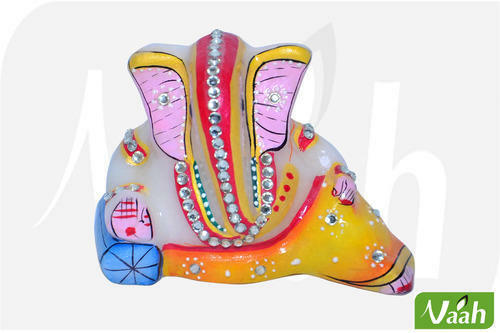 For reasons of quality maintenance, the offered range of Marble Lord Ganesh Idols are known to be made in accordance with the set industry norms and guidelines. Priced at the most reasonable rate possible, its preference in the market is quite high. In addition, the offered range is designed in the most attractive manner possible. 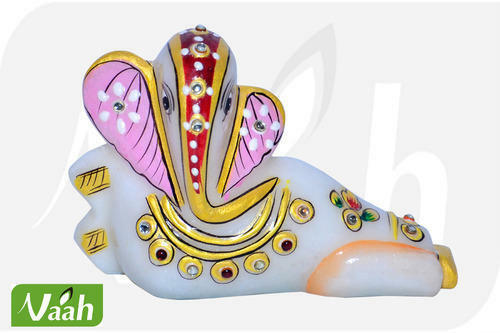 For reasons of quality maintenance, the offered range of Marble Decorative Resting Ganesh Idols are known to be made in accordance with the set industry norms and guidelines. Priced at the most reasonable rate possible, its preference in the market is quite high. In addition, the offered range is designed in the most attractive manner possible. 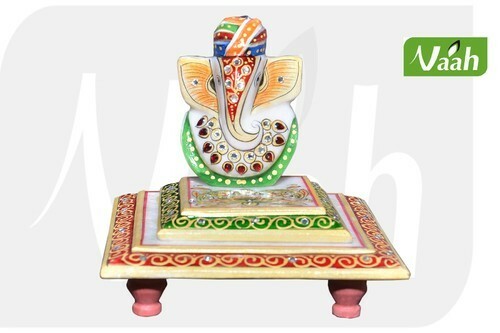 For reasons of quality maintenance, the offered range of Marble Painted Decorative Resting Ganesh Idols are known to be made in accordance with the set industry norms and guidelines. Priced at the most reasonable rate possible, its preference in the market is quite high. In addition, the offered range is designed in the most attractive manner possible. 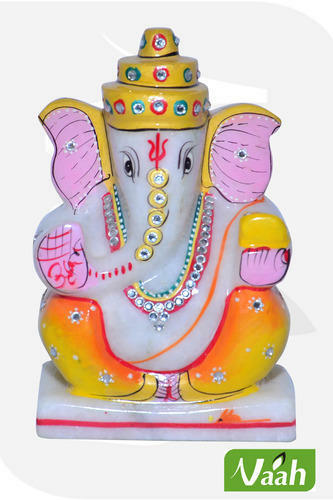 For reasons of quality maintenance, the offered range of Marble Pagdi Chowki Ganesh Idols are known to be made in accordance with the set industry norms and guidelines. Priced at the most reasonable rate possible, its preference in the market is quite high. In addition, the offered range is designed in the most attractive manner possible. 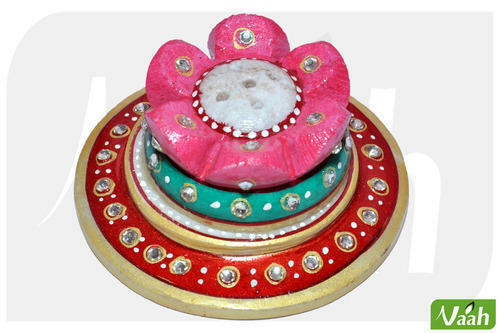 For reasons of quality maintenance, the offered range of Marble Ladoo Gopal Chowki Idols are known to be made in accordance with the set industry norms and guidelines. Priced at the most reasonable rate possible, its preference in the market is quite high. In addition, the offered range is designed in the most attractive manner possible. 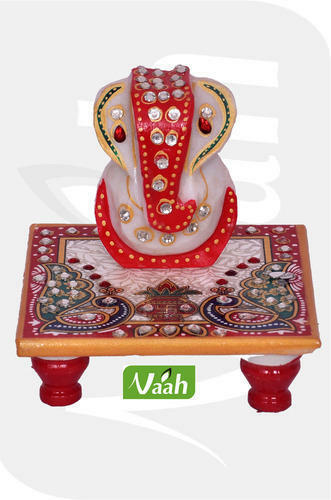 For reasons of quality maintenance, the offered range of Marble Chowki Ganesh Idols are known to be made in accordance with the set industry norms and guidelines. Priced at the most reasonable rate possible, its preference in the market is quite high. In addition, the offered range is designed in the most attractive manner possible. 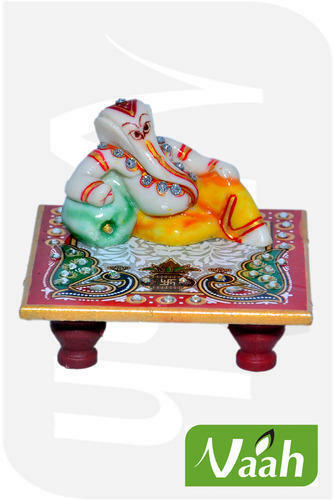 For reasons of quality maintenance, the offered range of Marble Chowki Resting Ganesh Idols are known to be made in accordance with the set industry norms and guidelines. Priced at the most reasonable rate possible, its preference in the market is quite high. In addition, the offered range is designed in the most attractive manner possible. 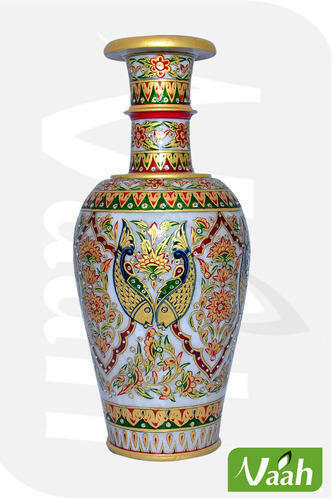 For reasons of quality maintenance, the offered range of WhiteMarble Vases are known to be made in accordance with the set industry norms and guidelines. Priced at the most reasonable rate possible, its preference in the market is quite high. In addition, the offered range is designed in the most attractive manner possible. 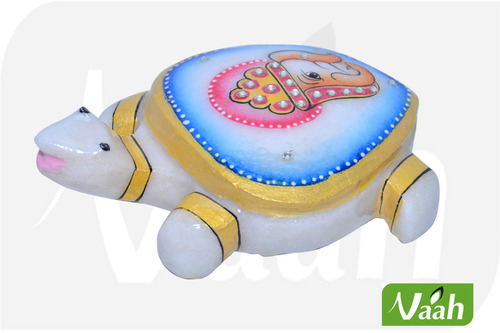 For reasons of quality maintenance, the offered range of Marble Ganesh Idol Painted Tortoise are known to be made in accordance with the set industry norms and guidelines. Priced at the most reasonable rate possible, its preference in the market is quite high. In addition, the offered range is designed in the most attractive manner possible. 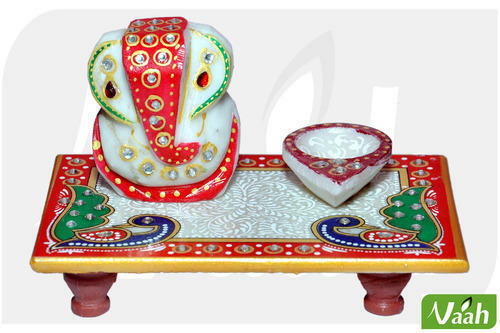 For reasons of quality maintenance, the offered range of Marble Chowki Ganesh is known to be made in accordance with the set industry norms and guidelines. Priced at the most reasonable rate possible, its preference in the market is quite high. In addition, the offered range is designed in the most attractive manner possible. 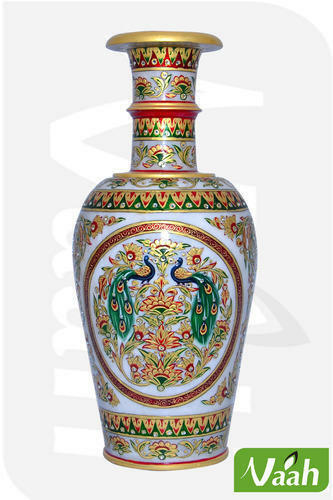 Offered in the market at the most reasonable rate possible, the Marble Peacock Painted Pot made available by us, is amongst the primary preferences in the market. 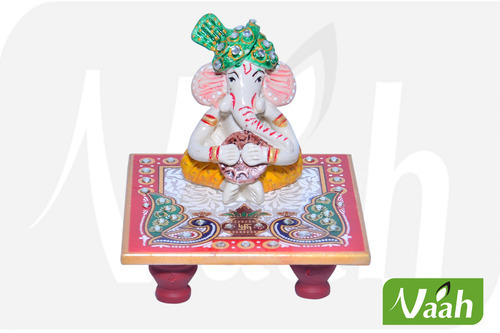 Manufactured in accordance with the set industry norms and guidelines, quality of this product never deteriorates. Further, the offered range is marked at the most reasonable rate possible, making it highly asked for in the market. 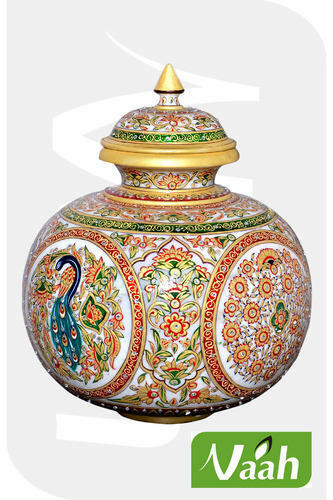 Offered in the market at the most reasonable rate possible, the Marble Painted Peacock Pot made available by us, is amongst the primary preferences in the market. 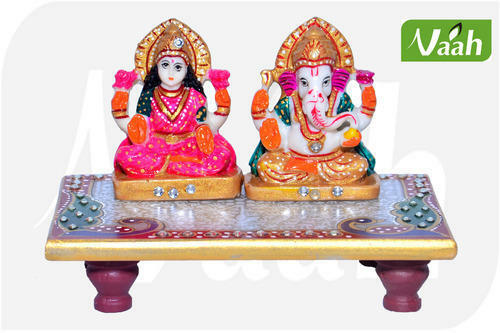 Manufactured in accordance with the set industry norms and guidelines, quality of this product never deteriorates. Further, the offered range is marked at the most reasonable rate possible, making it highly asked for in the market. 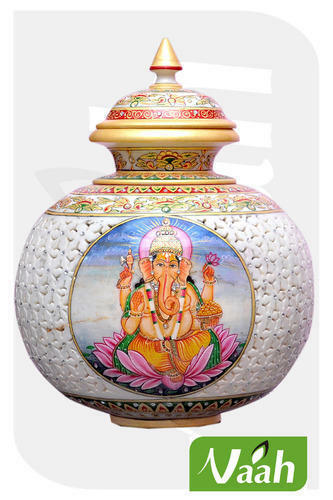 Offered in the market at the most reasonable rate possible, the Marble Painted Shree Ganesh Round Pot with Cut Work made available by us, is amongst the primary preferences in the market. 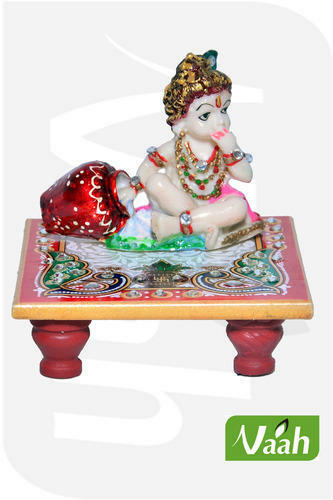 Manufactured in accordance with the set industry norms and guidelines, quality of this product never deteriorates. Further, the offered range is marked at the most reasonable rate possible, making it highly asked for in the market. 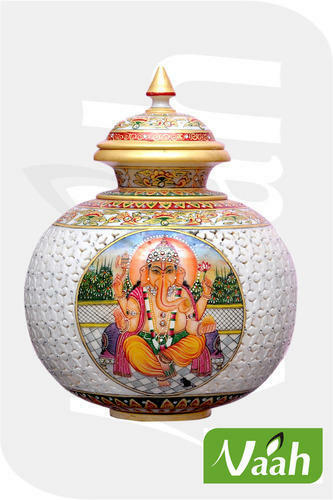 Offered in the market at the most reasonable rate possible, the Marble Painted Ganesha Round Pot with Cut Work made available by us, is amongst the primary preferences in the market. 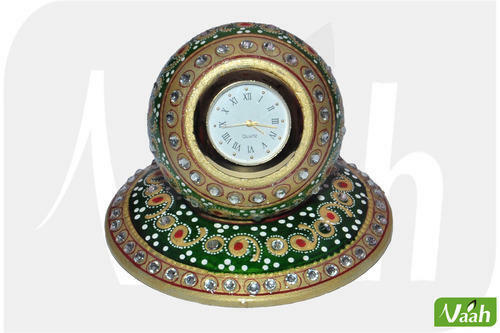 Manufactured in accordance with the set industry norms and guidelines, quality of this product never deteriorates. Further, the offered range is marked at the most reasonable rate possible, making it highly asked for in the market. 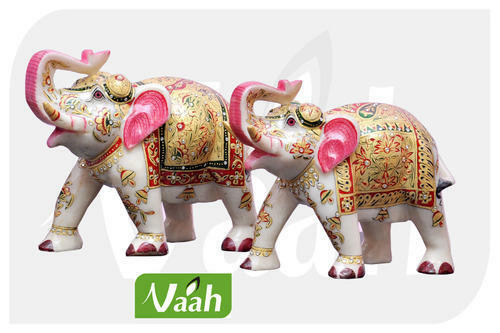 Being one of the leading manufacturers and suppliers of this commendable range of Marble Elephants, we never compromise with its quality. Thus we engage in the utilization of high grade raw materials and modern machines, in compliance with the set industry norms and guidelines. Owing to this, the product is elegantly designed, has a fine finishing, superior strength and perfect shape. Available in sizes: 2",4",6",8",10" & 12" & Bigger. Available in sizes: 2",4",10" & 12" & Bigger. 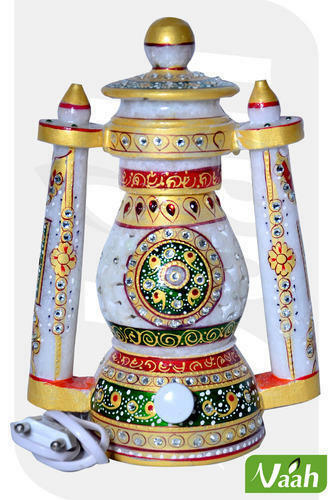 For reasons of quality maintenance, the offered range of MarbleIncense Stick Stand with Meenakariis known to be made in accordance with the set industry norms and guidelines. Priced at the most reasonable rate possible, its preference in the market is quite high. In addition, the offered range is designed in the most attractive manner possible.